"A wonderful job," says EBU board member. 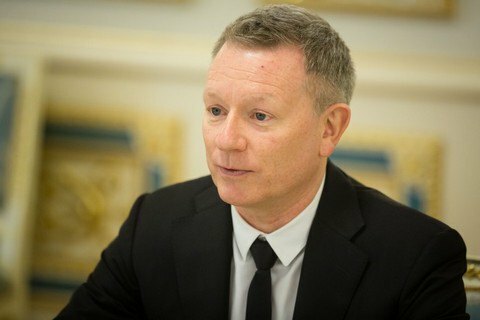 Supervisor of the Eurovision Song Contest Jon Ola Sand also noted an extremely high level of organization of the contest in Kyiv. “Each year we have certain remarks or complaints: either transport or logistics, security or other aspects. But the Eurovision in Kyiv was held flawlessly. We didn’t have any problems. Everything was organized at the top level by the Ukrainian party,” he said. On behalf of the European Broadcasting Union, member of the EBU Administrative Board Pavlo Grytsak thanked and congratulated the President on a wonderful organization of the contest. “This is a great international event with thousands of foreigners who visited Ukraine. One of the most popular shows with many challenges and risks, particularly in the sphere of security. And the fact is that a wonderful job was done for all journalists, contestants and fans to feel hospitality of Kyiv and stay in comfortable conditions,” he emphasized. “Despite concerns of skeptics about possible threats, I am proud that we have made this wonderful event. Nobody could stop us,” the President noted and invited everyone to visit the UEFA Champions League Final that will take place in Kyiv in May 2018. Portugal's Salvador Sobral won the 2017 Eurovision Song Contest held in Kyiv 9 to 13 May with the song "Amar Pelos Dois" (For The Both Of Us).